Combining natural beauty and history, West Point on the Eno is free park along the Eno River spanning 404 acres with three historic buildings. 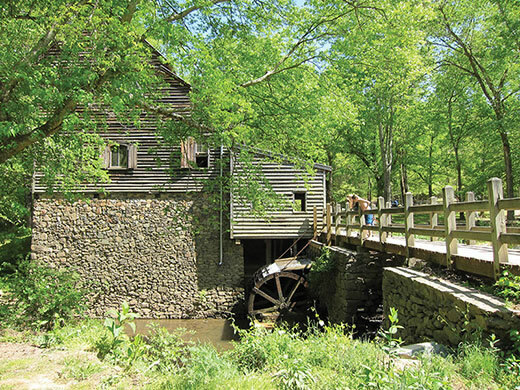 A rebuilt grist mill on the site of what was once the largest mill on the river operates once again after the original closed in 1942, and its products are sold on site. 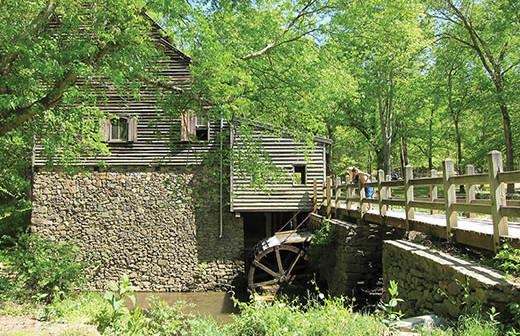 The restored house of the one-time mill owners is also available to tour, and the old tobacco packhouse is now home to the Hugh Mangum Museum of Photography. 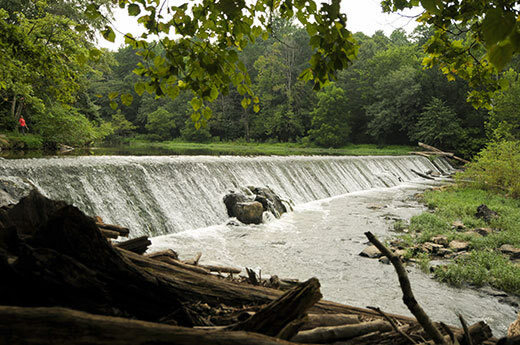 There are also five miles of scenic trails along the river and the surrounding bluffs for hiking and fishing, picnic facilities available for rent, an amphitheater used for festivals and concerts, and the river itself, with a natural play space and rapids that can be explored on a paddling trip.